Established in 1987, Balans fuses its London roots with the flare of Miami’s culinary scene. With four locations across Miami’s hottest neighborhoods, the upbeat restaurant and bar serves up global food offerings and an extensive and creative cocktail menu. The Lincoln Road, Mary Brickell Village, Biscayne Boulevard locations provide guests with the perfect spot to indulge with family and friends for any occasion. 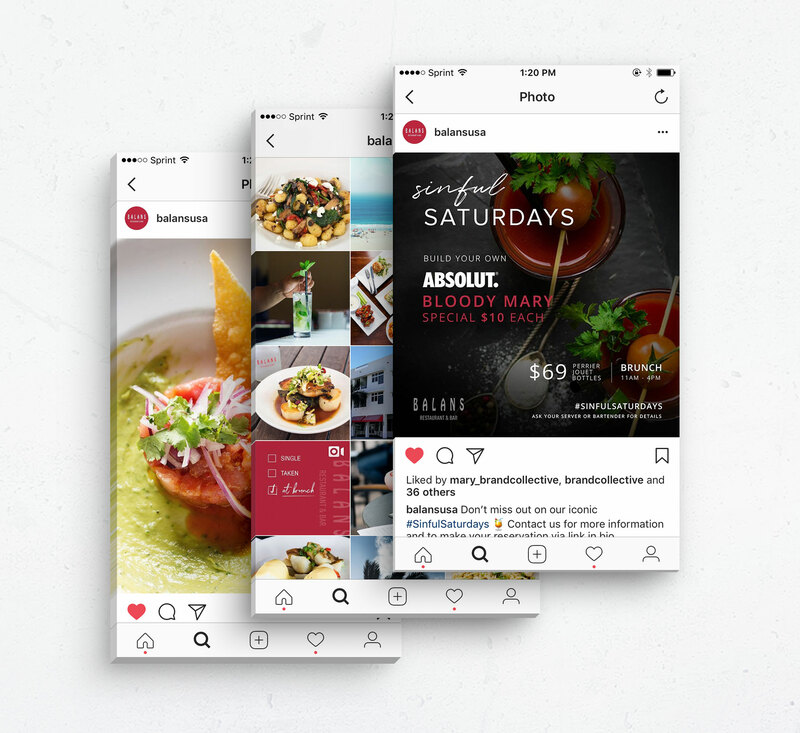 Mr. Hospitality is a fully integrated hospitality management group that conceptualizes, owns and operates European-inspired restaurants and nightlife destinations in Miami, FL. Mr. Hospitality’s repertoire of world-class restaurants currently includes Baoli, El Tucan and Marion, three venues that are well known for fueling Miami’s sizzling restaurant scene. Our team worked with Mr. Hospitality to create a fresh brand identity as well as to design both a splash page and full website that encompass the unique nature of their concepts. A modern take on an established brand. 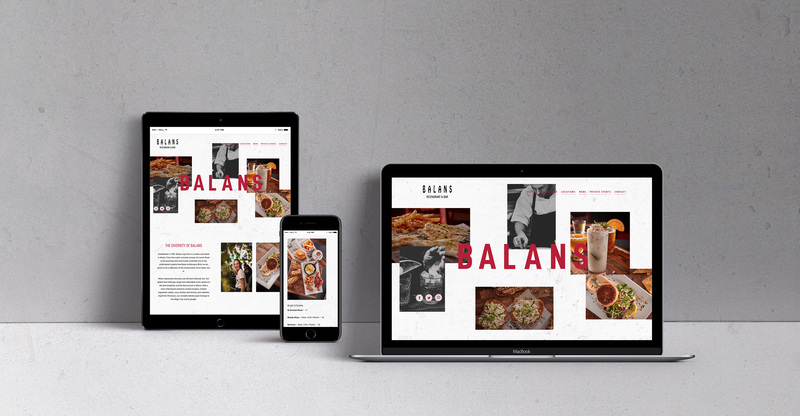 Our web and design teams worked together to create a modern, fresh splash page for Balans. The new site incorporates movement and color to enhance the brand and its many offerings, seamlessly guiding users through their experience. 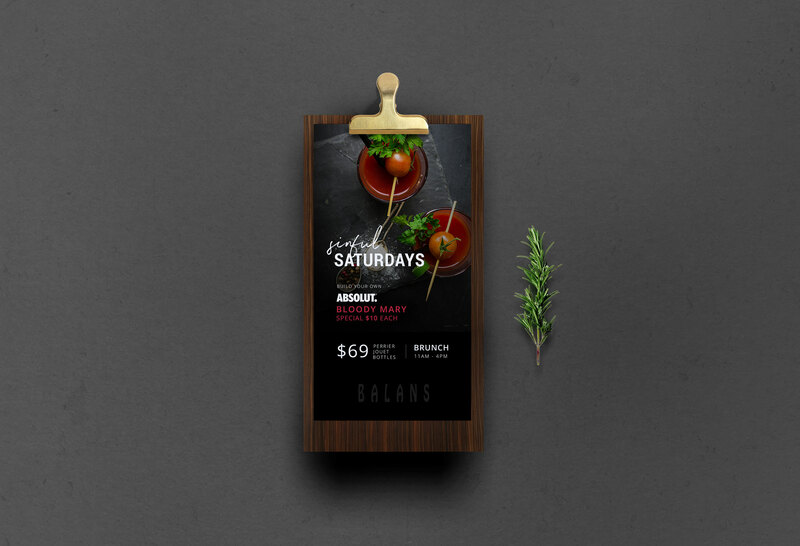 Balans’ new branding can be seen across their digital marketing efforts as well; through layering and playful copy, the new newsletters and eblasts showcase the energy and excitement that sets Balans apart from the competition. 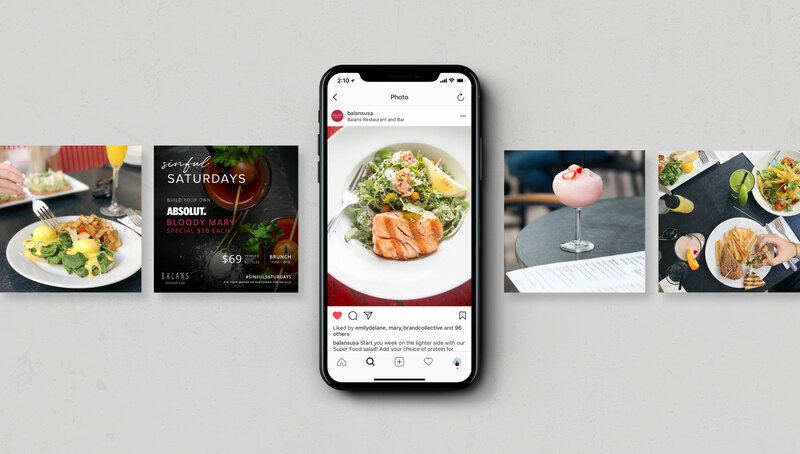 By giving this Miami staple a splash of cool, we are increasing awareness across a more broad audience and attracting new diners to all three locations.